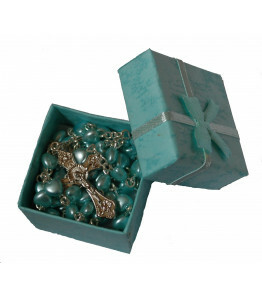 Girls or Boys Beautiful Blue Heart Rosary Beads in a beautiful Aqua Blue Gift BoxAn Ideal Gift for a..
Beautiful Cross Childrens Christian Bracelet - Perfect First Rosary Communion or Confirmation ..
Beautiful Heart Rosary Beads Girls or Boys Perfect First Rosary Communion or Confirmation PresentBlu.. 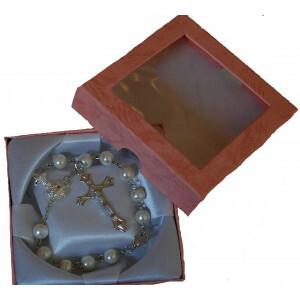 Girls Beautiful Pink Heart Rosary Beads in a beautiful Pink Gift BoxAn Ideal Gift for a First Holy C..
Beautiful Rosary Beads Girls or Boys Perfect First Rosary Communion or Confirmation PresentBlue - Wh.. 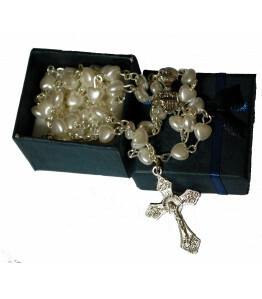 Girls or Boys Beautiful White Heart Rosary Beads in a beautiful Navy Blue Gift BoxAn Ideal Gift for .. 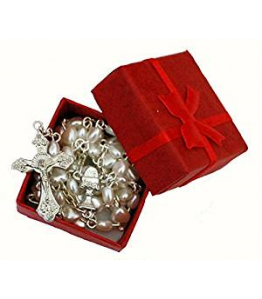 Girls or Boys Beautiful White Heart Rosary Beads in a Beautiful Red Gift BoxAn Ideal Gift for a Firs.. 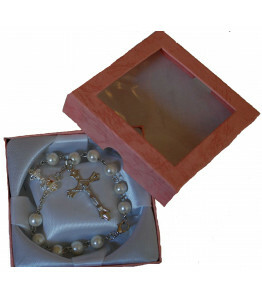 Girls Beautiful White Pearl Single Decade Rosary Bracelet - An Ideal Gift for a First Holy Communion..
First Rosary Beautiful Heart Rosary Beads In Velvet Heart Shaped Gift Box - Perfect PresentExcellent..
Gorgeous Bookmark and White Heart Single Decade Rosary Bracelet. 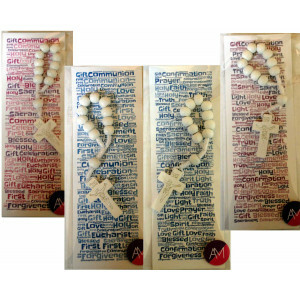 An ideal token gift for a Spec.. 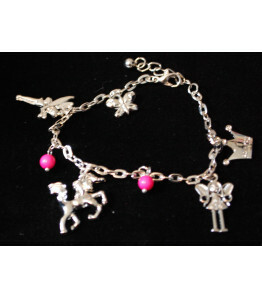 Girls Charm Bracelet - Unicorn, Fairy, PrincessThe bracelet comes packaged in a beautiful pink organ.. 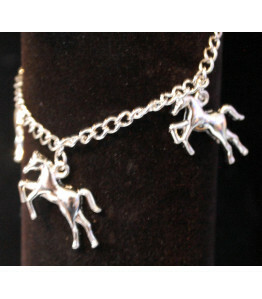 Girls Silver Horse Charm BraceletThe bracelet comes packaged in a beautiful pink organza drawstring .. 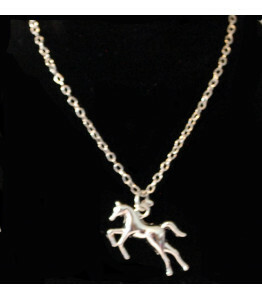 Girls Silver Horse NecklaceBeautiful girls necklace with horse pendant. 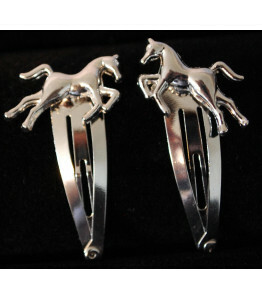 An ideal gift!.. 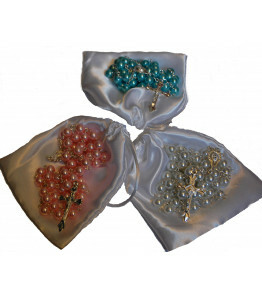 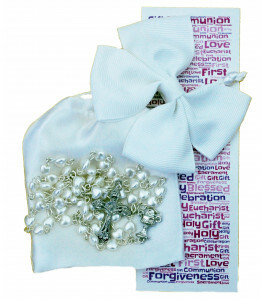 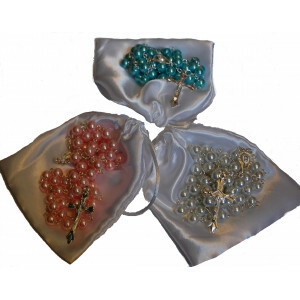 Gorgeous Girls First Communion Gift SetSet includes: Beautiful White Heart Rosary Beads, White Satin..